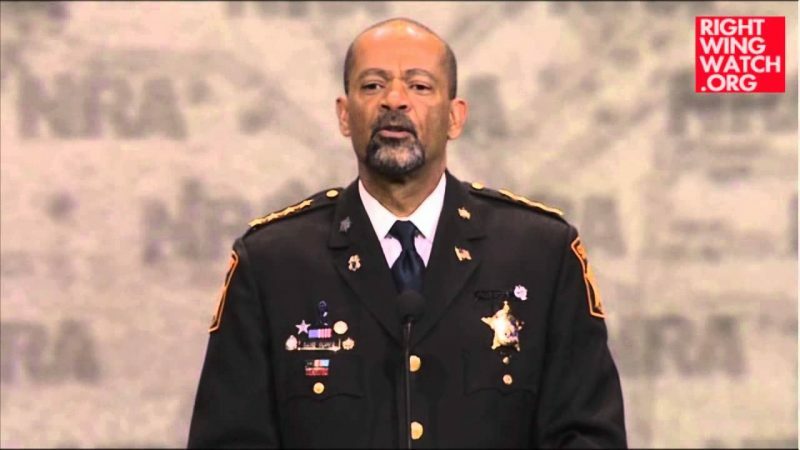 Seeing as Donald Trump has given interviews to the likes of Michael Savage and Alex Jones, it shouldn’t come as a surprise that the Republican presidential nominee called into a radio program being guest-hosted by Milwaukee County Sheriff David Clarke for a 15-minute interview on Thursday afternoon. 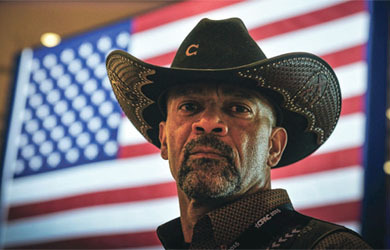 In 2013, after he aired his ads discouraging citizens from relying on 911, Clarke accepted the “Constitutional Sheriff of the Year” award from the Constitutional Sheriffs and Peace Officers Association, an anti-government group that promotes the idea that county sheriffs are the highest law enforcement officers in the country and thus have the power to defy federal laws that they believe are unconstitutional. In his acceptance speech , Clarke declared that “government” was the “common enemy” of the “patriots” in the room. In a radio interview that year, he said that “on an everyday basis, to me, federal government is a bigger threat” than terrorism. 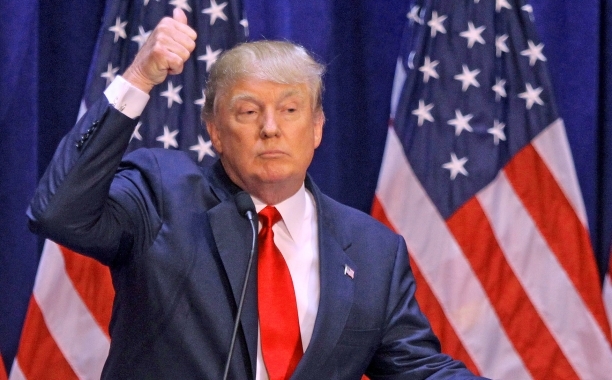 Trump effusively praised Clarke in the interview, saying that from the first time he saw Clarke in a Fox News appearance, he knew he was “absolutely terrific” and saying that it was a “great honor” to receive Clarke’s endorsement.